How does Pittsburgh compare to your home city of St. Louis? At first, I thought Pittsburgh was pretty cool because when I first came to visit Pitt I saw downtown at night, and it was lit. After spending almost two years here, I think I prefer St. Louis a bit more because I am more familiar with what to do in the city and what the weather is going to be like. On average, St. Louis is 10 degrees Fahrenheit hotter than Pittsburgh at any given time. As someone who enjoys the sun and warm weather, I sometimes miss St. Louis weather. However, I still think Pittsburgh is great but STL will always be number one bae for me. You enjoy playing League of Legends and chess, what do you enjoy most about each? My main attraction to both of these games is that a player in both, once at a certain skill level, is able to display some hot & spicy action on the playing field. Given that I love showing off my gaming talents, League was the game that I decided I would derive the most enjoyment from crushing the dreams of pre-teenage children over the Internet. With the anonymity of the Internet, I am also able to freely challenge anyone by saying: “Would you like to engage in a 1 versus 1 duel, brethren?” and show off my dominating prowess. The exact feeling appeals to me with regards to chess, since a vast number of 12 year olds engage in both. Bioengineering is a tough major, what drew you to it? One of your goals is to become a physician. Can you tell me more about why? This question sounds like what medical schools are going to ask me all the time in the future. For now, this is my answer. My greatest attraction to medicine is that it is an outlet for me to engage in acts of “selfish altruism”. Altruism is defined as a person doing something for another person without any benefit to themselves, and selfish is defined as a person doing something solely for their benefit. Therefore, the term selfish altruism seems contradictory, but I see it as someone doing something for the benefit of others but also deriving some sort of inherent pleasure from that action. For example, as a doctor seeing a patient get better as a result of their efforts is inherently stimulating to my dopamine reward pathway. With both sides of the deal benefitting from the trade, the economic-emotional aspect makes total sense. What does ASA mean to you? ASA is pretty chill. It is a place where I have met some of my closest friends and some of my even closer friends. It is a place where I can look around a room and see a hundred people standing around who look just like me, who eat the same food like me, and who I can relate to. ASA is the place where that I go to beef up my Facebook likes by surrounding myself with hunnies. It is also the place that I go to where I can freely have conversation sensitive to Asians and having those around me empathize with what I am feeling. ASA is my home away from home and I don’t know what I would do without it. So you’re a costume designer for the University of Pittsburgh Theater Department. What got you started in designing costumes? I was a sophomore in college and I was looking for a job of any kind as long as I was paid or got free healthcare. As I was staring at my computer scrolling through the endless pages of student jobs I came across something named “Costume Shop Assistant” and it caught my attention instantly. Was I entirely sure what “Costume Shop Assistant” meant? No, but that’s what made me want to click the link. Essentially, it was to mend and alter costumes for the theater department. I thought to myself “well I can sew, and I bet there are only a handful of people at my university that can so i’ll get a leg up on the competition”. I applied, met with the manager, and got the job. It was actually my first job, which was exciting, who else can say that their job was to sew costumes. On my first day of actual work I was so nervous about my sewing abilities that it took me three times as long to hand sew something than normal. From then on I would occasionally fix a costume, but I would mainly organize our closet and put labels on costumes, but I enjoyed it since it was better than cleaning up after college students in the dining halls. After a couple of months I received more responsibilities and sewed more difficult costumes and got to pick and choose pieces for the actors to try on, some of which were actually used in the show. Then came the project that made me fall in love with costume design. I was given the task to cut out and sew this fur jacket for a musical called “In the Heights”. It was something I got to do all by myself from start to finish. After I made it I put it on and pranced around in it and took pictures in it. Then I got to see it on stage for all of three minute, but I didn’t care it was mine. So, when I got to Pitt I knew I had to continue my involvement in costume design. I started volunteering and getting credit for my work. Which led me to assistant designing three shows, an internship in costume design, being the head designer for three other shows, and my closest friend at Pitt. Shoutout to Minjee, you should all follow her on FB @minjeekaycosplay. I imagine that your home state of California is very different from Pittsburgh. What are you favorite aspects of each place? Is there anything you miss about California when you’re here in Pittsburgh? I feel like I have been spoiled by living in Southern California and now I’m realizing that now that I don’t live there, but Pittsburgh has its perks. Pittsburgh is much more compact of a city than the area I live in. Everything is closer and easy to get to without a car, which is great because I don’t have a car. I like that I can travel by bus to different neighborhoods and communities and get away from where I spend 95% of my time. I really enjoy going to Lawrenceville and the Southside. There are also parks here like Schenley and Frick where you can actually go walking and light hiking in. These small little forests you can’t get where I live unless you travel to a national park. Here in Pittsburgh, I can walk 15 and be in one and take the bus and 30 mins later I’m in a larger one. I feel that when you’re from Southern California you are from more than just the city that you live in. I have had the opportunity to travel and explore all over the Los Angeles area and beyond, especially since we travel by car to get anywhere. There is also such a high diversity of people, areas, and food that I’ve missed since living in Pittsburgh. I am so lucky to have grown up around different types of people whether it is their ethnicity, opinions, sexual orientations, and beyond. The most obvious aspect I miss about California is the weather. I don’t hate the snow but I don’t like long extended periods of winter. I need to wear shorts and sandals at least half of the year to survive!? What made you decide to go vegan? How does it change the way you live your life? What are your favorite spots to eat here in Pittsburgh? Partially because I thought it would be fun and a challenge but also because as I grew up my stomach couldn’t handle a lot of foods. I would get stomach aches a lot from milk products due to allergies, and they got worse over the years so just cut out milk. Then I tried a few vegan restaurants and I really enjoyed them so I debated on going vegan. It wasn’t too difficult because I never liked meat that much, but I ate it because my parents cooked it. I usually only liked it covered in sauce or fried. Most prominently, I was not a fan of steak, I know how odd. I just never liked the taste of it and interestingly enough I’ve never had an In ‘n’ Out burger. It’s not difficult to be vegan if you cook yourself, there are tons of great recipes online and a ton of products you can buy at the grocery store too, they’re called vegetables. The most difficult part about being a vegan is going out to eat with friends. In Pittsburgh, there aren’t many vegan or vegan friendly restaurants so I need to be careful where I go and accommodate who I am eating with. Usually people are really nice about it, which is great and saves friendships. Finding new vegan restaurants in different places is one of my favorite things to do, and I have found great places around Pittsburgh to get vegan food. If you are going out with your super meat eating carnivores Piper’s Pub is the best. It’s an Irish pub in the Southside that serves gigantic hearty meals that pair well with beer and have great vegan options. There is also this great pizza place called Spak Brothers. They have pizza, wings, sandwiches for vegans and non-vegans. But, if you want breakfast or brunch and an expensive bill Coca Cafe in Lawrenceville is the best, it’s everything you expect out of the hipster neighborhood. This is your last semester of college! If you could give your freshman self some advice, what would it be? First and foremost, never ever transfer universities, it can be a terrible experience. I don’t regret transferring but the process is straining, annoying, and stressful during and while you’re at your new university. Although if you do want to, make sure you have a really good reason to, and a reason that you believe in. My other advice is incredibly typical but, do something while at college. College is nothing if you don’t do anything with it. You can’t expect to have fun or a rewarding experience if you just sit around. If you want the “college experience” join clubs, organizations, sports, sororities, fraternities, whatever it may be just do something. Also, do something that you aren’t already doing or pursuing in your major. Be apart of something that you dreamed of as a kid, pursue a passion. I was lucky to find costume design and it has made my college experience 1000 times better. You’re a marketing major and want to get into advertising. What about advertising is appealing to you? I came into college having no idea what I wanted to do, but I knew I didn’t want to pursue science, engineering, or the liberal arts. That left me with art and business, and I was too scared to pursue art so I chose business. 3 years ago I wanted to create my own clothing line so I thought a business degree would be helpful for that, and the most creative sector in business is marketing. From there I still didn’t know what I wanted to do, I just went along the path I was supposed to go on. Not until last year did I figure out I wanted to do advertising. I didn’t realize that my entire life was based off of design. Fashion designer, Interior Designer, Mini Martha Stewart (without jail time), these were all designed based goals. I stumbled across graphic design in November 2014, and what I was doing wasn’t even close to design. I was interested and wanted to learn more. I began truly teaching myself in June 2015, reading books, watching videos, and most importantly constantly designing things no matter how silly. Throughout this process I found Art Direction, which is designing a message with the coordination of graphic designers, copywriters, and other people too. I liked the idea of this and I have working towards a job in it. What are you planning to do after college? Long term goals? What I’m planning on doing is making money. I am applying to a bunch of jobs and internships in advertising over the next few weeks and maybe months. Most of them are in the Los Angeles area, but I’m okay with most big cities on the west coast. Well, in the near to distant future I hope to be making a lot of money to fuel my obsession with eating. But honestly, when I think about the future I don’t really know where I want to be since I have never been introduced to the real world of advertising outside a classroom. I mean, I could end up hating it or not loving as much as I think I would. I could end up diverting to another career path and loving it even more. So for right now my long term goal is to be happier with myself and to spending every day of my life designing and creating things I am proud of. Blue hair! Are you gonna keep it blue or change to a different color? Well I don’t exactly have a choice but to keep it blue. What I didn’t know is that blue hair dye is the hardest colored hair dye to get out. So, it will be blue-ish until it grows out. I’m trying to wash it out to go back to blonde but it’s not working so well. I don’t know if i’ll keep dying my hair in the future since it’s painful to my scalp, but who knows. Even through all of the stress I have had being a part of ASA board, I see ASA as a family. The people that I have met by going to ASA events and getting involved have made my life in Pittsburgh and at Pitt more exciting and enjoyable. If I hadn’t gotten out of my shell and had the courage to go to events by myself then I would have never had met certain people. I would have never had the wonderful experiences that further shaped me as a person. I wouldn’t have people to vent to, to gossip with, to eat delicious food with, to go to concerts with, to eat too many oreos with, to forget to give Christmas presents to, and to be friends with for the rest of my life. You’re interested in women, sexuality and gender studies. What about the field draws your curiosity? Awkwardly enough it was my first trip to a gynecologist's office that sparked my thinking about topics surrounding gender, sexuality, and reproductive health. This first trip was a result of destructive habits that started because of a distorted body image created from the pressures of playing competitive sports all my life, which I think is an unfortunately uncommon experience. It was definitely scary (and hard to admit) but it's what truly inspired me to become a medical provider one day. It's been humbling to learn about this subject through academia and personal experiences, especially since it's a topic that my religious and cultural backgrounds have always taught me to think of as taboo. You mentioned that you played sports, what were you involved in? My mom drove the typical "soccer mom van" and through the years has driven me to swim meets, soccer games, and basketball tournaments all over the East coast. However, the sport I loved the most was the one I developed a passion for on my own: running. It's both my preferred form of stress relief and exercise. Running a full marathon is one of the biggest goals on my bucket list. Who are your role models? Are there any who stand out in particular? My parents are by far the biggest role models in my life. They came to this country with nothing and worked hard to give my brother and I everything we could ever need. I feel like this amazing accomplishment achieved by many immigrant parents isn't acknowledged enough. I wish to be at least half as hardworking as they are in my future. Thank you Mom and Dad (if you're reading this I love you). Family is such an integral part of Filipino life. Have you created a “family” here at Pitt? A lot of the people I consider as my family aren't genetically related to me at all. This is mostly due to the fact that the majority of my relatives live in the Philippines, so my family was forced to create a new family in America. I came to Pitt not knowing a single person. My culture has taught me a lot about hospitality and how to easily create bonds with people through shared experiences. In this way, I've created many little different families here at Pitt, and I'm so grateful for each of them. You’re such a bright person! Where do you get all your energy? What does the position of advocacy chair mean to you? My definition of advocacy is an action in order to help make a change either for something you believe in or something you disagree with. Growing up as a first-generation Asian-American female, I was taught that I shouldn't speak up or talk back. I was taught to not draw attention to myself, follow the rules, and conform to society to maintain a certain reputation. I never saw an Asian person in the media. I never knew of the violence, racism, sexism, and other injustices people faced. I'm thankful to say that the above statements no longer hold truth in my life, and I am blessed with the opportunity to shed light on the causes of the Asian-American community and those of other communities on Pitt's campus. 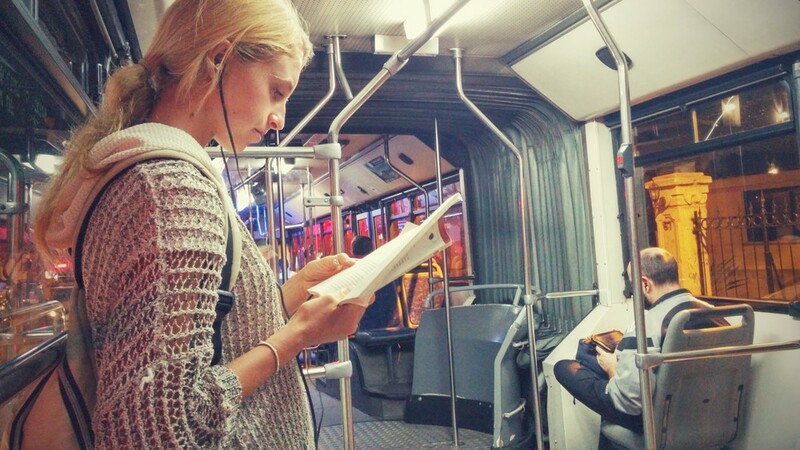 Many people sit quietly, listen to music at a normal volume, or read on the bus. During the day and all throughout the night, the central calle, Larios, is packed with people. For dinner, people of all ages go out for tapas. At times it becomes easy to evaluate our world from an ethnocentric point of view. People begin to criticize other ways of living based off experiences in their own culture; however, the world is made up of many different customs and people, and usually they have logical reasoning for why they do things a certain way. When traveling to another country, one might experience culture shock-- a disoriented feeling due to an unfamiliar culture, way of life, or set of attitudes. The Spanish lifestyle definitely differs from the American lifestyle in multiple ways. For starters, it is a much more relaxed way of living. In America, everything is rushed: we wake up in the morning and throw some clothes on. Running late for the third day this week, we jump in our cars, hopefully make it to the Starbuck’s drive-through before it gets too crowded, and perhaps make it to work on time. On the other hand, Spain runs on a laid-back schedule. Quite often, people will run 10-15 minutes late to events (especially social gatherings), and it is perfectly acceptable. Additionally, it is uncommon for Spaniards to take a coffee to go or to order take out; even at the McDonald’s most people eat in. In Spain, people cherish the time they have socializing with friends and often stay at the restaurant or cafe for an hour or two. The service at restaurants is also different from the United States. Waiters usually come over only a total of three times: to take orders, to bring drinks, and to bring food. After the meal, it is the customer’s job to flag the waiter down for the bill, and usually the waiters will not separate the checks. In America, if the waiter is inattentive, it is thought that the waiter is not doing his/her job well; however, in Spain, it is rude if the waiter comes over too many times and brings the bill without being asked because it seems the waiter is rushing them, eagerly awaiting their departure. Furthermore, the eating times in Spain are different from the United States. Lunch is normally from 1:00-3:00 p.m., and dinner is around 9:00-11:00 p.m. The common foods to eat for each meal also differ. For breakfast, it is normal to have a ton of carbs, mostly in the form of bread. Lunch is usually the biggest meal of the day, and sometimes Spaniards have paella, stew, chicken wings, or fish. For dinner, many go out to restaurants and order tapas, or appetizers. In addition to meal hours being different, there is a siesta time from 2:00-5:00 p.m., where almost everything shuts down besides a few of the touristy shops and a few restaurants. Also, nearly everything is closed on Sunday. Additionally, a few other major adjustments from the United States are the quietness of the daily commute, the excitement of the nightlife, the closeness of the interactions, and the worth of appearance. In contrast to Port Authority buses, local riders are practically silent; however, in the center at night, the streets are always filled with chatter and laughter from women wearing dresses or skirts with leggings, a blouse and nice pants, and other extremely presentable outfits, and men wearing a button-down with fitting pants and a belt, or a sweater. Locals are never seen wearing sweatpants and very rarely wearing shorts. Scarves are also extremely popular with both genders. Women tend to wear boots or heels, despite the cobblestone roads, and men usually wear nicer shoes (rather than athletic wear) such as loafers or nice sneakers. At night, it is common to see people of all ages out late. Many people go out for dinner around 9:00 or 10:00 p.m. and many younger people go to the clubs around 1:30 a.m. and dance the night away until around 5:00 or 6:00 a.m. on the weekends. Also in Spain, personal space is not nearly as big of a deal as it is in the United States. Strangers meeting each other for the first time in an informal situation might greet each other with “dos besos,” or a light cheek touch combined with an air kiss and repeated again on the other cheek. This is very common between family, friends, and even acquaintances. Usually females give dos besos to other females and males; however males usually give a one armed hug or a handshake to another male and dos besos to females. All in all, every country has its own way of doing things and sometimes it just takes some time to get used to; however, it is always important to try to see the customs of other countries from an almost unbiased if not completely unbiased point of view. Many times after people return to their home country they will experience reverse culture shock, which is an emotional and psychological re-adjustment similar to the initial adjustment to going abroad. 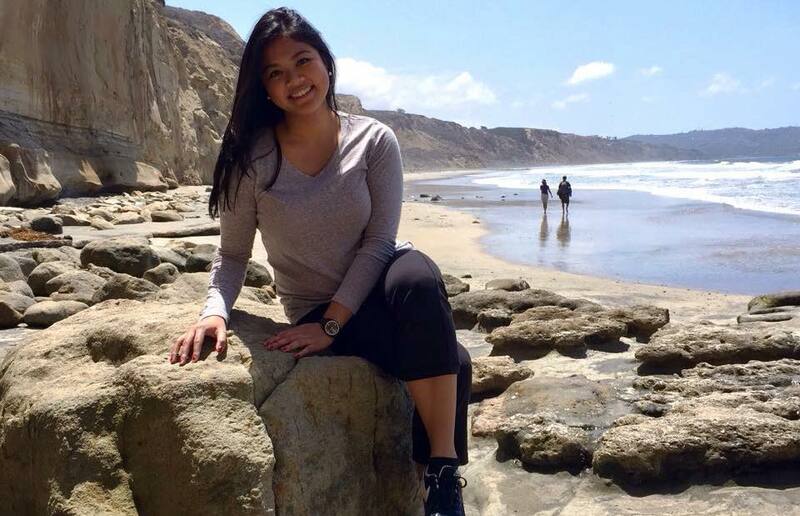 Allie is a junior majoring in marketing who is studying abroad in Málaga, Spain this fall semester. So you’re a proud New Yorker. How did growing up there influence you? I would say that had I not grown up in New York, I wouldn’t have the ambitions that I have now. There’s that twinkle-in-the-eye association with Manhattan that everybody in the world makes when you say you’re from New York and I think that I’ve been heavily influenced by that hype and the forefront innovation that is happening in the City. Though I’m not from the City, I visit pretty frequently and I take its vibes and high-standards with me wherever I go. At heart, I’m still a Long Island kid. I’ve spent my entire childhood in a predominantly white, predominantly middle and upper-middle class town called Port Jefferson where Anthony’s Pizza, which unfortunately shut down recently, became my standard for good pizza, and athletes were heralded as heroes. Fitting in, as one of a handful of Asian kids, was the only thing I wanted growing up and I think that really influenced the way I live my life. Pittsburgh is very unlike New York City, What are your favorite spots in the 412? I’m a foodie so the first spots that come to mind are eateries. Gaucho’s in the Strip District is a stand out and serves high quality and mouth-watering barbeque meat. Something I enjoy thoroughly about Pittsburgh is the half-price late night food you can get around. I really enjoy going to Fuel and Fuddle in Oakland and Stack’d in Shadyside for their half-off deals. I also really enjoy going over to Carnegie Mellon for events once in a while. Some of the students there give off an ambitious, crazy hard-working, creative vibe that I don’t see as much of at Pitt. To be honest, I haven’t done justice to exploring the many neighborhoods that make up Pittsburgh. Like my friend Thanh once said, Pittsburgh is a place where you have to find go out and actively find cool places and I’ll slowly keep exploring in my free time. What music are you listening to at the moment? Favorite artists? Favorite song? I’ve been obsessed with Ta-ku’s summer release album Songs to Make Up To. The first track Hopeful on that album gives me goosebumps every time. Ta-ku’s recent work is so vibey and raw and I really look up to him as not just a musician, but as a creative pushing the limits of self-expression and through that, service to people. I’m also really digging Mac Miller’s new album GO:OD AM. A lot of great tracks off that album. Really digging ROS and Ascension. The warped organ instrumental in Weekend is to die for. What about hip-hop attracts you to the culture? How would you describe your love for rap? Hip-hop stands for the oppressed and the voiceless coming together to express themselves and their struggles in a way that is beautiful. As an Asian American kid who never quite fit in, I’ve been living an identity crisis my entire life and rap music spoke to me in way that showed me I wasn’t alone in my struggles. As Lupe Fiasco’s says “hip-hop just saved my life”. There’re a handful of artists I really admire and look up to who have influenced the way I live my life. But aside from rap, I love all the traditional pillars of hip-hop including, breakdancing, DJing and graffiti, and also how it’s expanded into fashion. Hip-hop is lens in which I see the world and when I write bars on my phone or in my notebook, I feel part of a movement that is changing the world, just by being myself. You’ve been accumulating a lot of shoes recently. At what point did you figure out you have an obsession with sneakers? Was it one specific shoe? It started with a desire to update my wardrobe. I have a lot of preppy clothes left over from high school and I felt like they didn’t represent who I was. My obsession started when I purchased my all red Chuck Taylor All-Rubber Converses. The all red shoe trend instigated by Kanye’s release of his “Red October” Air Yeezy IIs is to blame for this, but I wanted a waterproof shoe that was going to give my winter outfits some personality. After walking around in them and turning a lot of heads, I realized that sneakers were going to be something that would define my wardrobe. You’ve mentioned that you have several role models. Are there any in particular that stand out in your mind? I’ve always had a lot of role models. I think those who have influenced me the most are my peer mentors, through every stage of my life. Like I said earlier there are a handful of rappers that I look up to like Kendrick Lamar, Childish Gambino and most notably Dumbfoundead, the premier Asian American rapper at the moment. I also really admire Sophia Chang, a freelance illustrator, designer and creative based in Queens, NY well known for her #bun hash tag. She’s just doing everything I find awesome, from collaborating with well-known street wear brands to working with street wear magazines, to designing her own shoes (her Brooklynite collection with Puma is awesome), to illustration and modeling. Another role model that stands out in my mind is Andres Iniesta, the Spanish soccer player, and my all-time favorite player. His playing is so majestic, and he is so humble as a human being. How does creativity tie into your self-expression? Creativity is what makes me tick. It’s a way of life. It’s the most important part of self-expression. Creating something that is functional and represents who I am is what I live for, whether that’s taking inspiration from existing works and changing it to something that represents me or creating something completely from scratch. I think that creativity also ties into my constant dreaming. I’m someone who has always his head stuck in the clouds, for better or for worse and having the space to be able to express myself is something I am constantly fighting for. Take that away from my and I have nothing. I’m always on social media. I’m a visual learner and I get a lot of inspiration from Tumblr and Instagram. I’m on Facebook quite a lot on a daily basis, something I’m not proud of, but I do get a lot of exposure to AAPI related articles and issues as well as hip-hop and street wear related posts on my news feed via the pages I follow. I’m always on YouTube and enjoy exploring Soundcloud for new music and artists to listen to. You’re always posting articles on Facebook about the Asian American experience. What fuels your passion for AAPI issues? Why do you care so much about issues that don't seem to be relevant to you? I think my childhood set the stage for my passion for furthering Asian American identity. As someone who doesn’t fit well with white upper-middle class culture nor the Asian upper-middle class stereotype of wanting to become a doctor or lawyer and make tons of money to support a family, nor the FOB Asian culture, I think I’ve come to a point where I want to join those who are trying to trail blaze Asian American identity, as not just a combination of just Asian and American, but push the boundaries of what it means to be “Asian American”. I’ve been trapped by so many categorizations and stigmas and stereotypes and I’ve just become sick of having to conform to something I cannot fully identify with. Three years ago, when I heard Trayvon Martin was murdered by George Zimmermann, I honestly didn't care too much about it because it didn’t relate to me. I wasn’t black and I wasn’t in Florida, nor was it likely that something like that would ever happen to me. But over the last couple of years I realized that the only way to break away from boundaries set by a white majority culture is for all those who are oppressed to come together and love one another, because we’re all fighting the same system. Instantly the murder of black youth became my issue because injustice because of one race is representative of a greater societal problem that includes me. Do you have any advice on how to start exploring Asian-American identity? If you want to explore identity, you have to get to a place where you understand for yourself why it’s so important to you and why you need to explore it. As I said earlier, I’m always on social media and I think something that sparked my passion was seeing Wong Fu Productions’ video “Yellow Fever”. Seeing Asian American’s like me on screen was the most exciting thing to me and I still today continue to watch Asian American content on YouTube because they bring up relevant questions that I can ask myself. Another thing is to read articles or books. Angry Asian Man Blog is a great place to find relevant content on a large range of AAPI topics and issues and those too get you to think about yourself. At the end of the day, it’s not about “finding your Asian side” or “being more in touch with your culture.” It’s about finding out who you are because you being Asian in and of itself is already impacting the way AAPIs are being perceived in this country. What do you have planned for the next couple years? I’ve been meaning to drop a mixtape for sometime now, but have been busy. Hopefully I will get back into it soon and release within the next year. I’ve been exploring career options and am thinking of going to graduate school for industrial design. How did you get involved with ASA? Something along the lines of getting chased down the street by the infamous AIV flier-ers. This led to inconsistent visits to AIV, which led to consistent visits to AIV, which led to my involvement with the Asian and Asian-American communities, at least socially. Sometime during this period, a friend (shout-out to Thanh Truong) asked me to help her get some donated foods from some sketchy garage in the WPU. This led to some involvement with Shuqi Xiao’s Public Relations Committee, which led to increased attendance of ASA events, which again led to more involvement with the Asian and Asian-American communities. Somewhere along this long and convoluted road, I became inspired to run for board positions these past two years. Looking back, the entire process seems absolutely bizarre. I’m not sure if it was random, or if there was some sort of plan for me all along. Regardless, those crazy AIV kids had a huge impact on what my future in college would pan out to be, and I’ll always be grateful for it. Now that you’re president of the largest Asian-focused organization at Pitt, what kind of influence do you hope to have on campus? That’s weird to hear. (Or read, I guess.) These past few months, I’ve mostly thought about what I want for this organization as an institution, for its members, or about how funny it is that some Korean adoptee from an overwhelmingly white background is the President of the Asian Students Alliance. (This is actually the second time that this has happened at Pitt, to the best of my knowledge.) But I haven’t really thought about what influence that I, as an individual, hope to have as figurehead of this organization. If anything, I’d like to be able to meet with University administrators and voice legitimate concerns of our members. If we feel that there is not enough University-facilitated cultural programming, or if adequate resources to provide for this programming on our own are being withheld, the President of the Asian Students Alliance should really be able to say, simply, “This is what we need, and we want to work with you to make it happen.” Plain and simple. And, to the University’s credit, I do feel that there is some degree of room for us, and for now, for me, to do that. But the problem is that there is a discouraging amount of bureaucratic red tape surrounding the process that ultimately creates the image that the aforementioned is impossible. The recent creation of the Hail to Diversity Council stands to combat this process. To that effect, this may be the year to test the waters of change, and, in doing so, communicate to those of true power the inefficacy of the system that we, as leaders of student organizations, work in. How has growing up as a Korean Adoptee influenced you? This is a tough question to answer, not because I don’t have an answer, but because it’s hard to put a big part of your heart and who you are out there on blast, you know? Getting back on track, though, it’s not easy. You’re more or less the only Asian kid at your school, at your church, in your home, and just about the only one you know. You’re different, in more ways than one, and other people tend to take notice, sometimes not in the best of ways. You know, there are people that are mean about it, and then there are people who don’t really get it. I remember going away to camp and having people not understand that my brother, who is my parents’ biological son, was in fact my brother. I’d just gotten around to saying that we were stepbrothers, not because it was true, but because it was just easier for people to understand at that age. But what doesn’t really change, no matter what your age, is that it’s hard to get most people to know where you’re coming from, which makes sense, because most people aren’t like you. But it doesn’t make existing as this kind of “irregularity” any easier. And it feels lonely, sometimes, you know? You think that getting to high school, where the population is a little more diverse, will make things better for you. But you start talking to the Asian kids and you’re white to them. You know, there’s this line from one of the pieces on Drake’s last album that goes, “I used to get teased for being black, and now I’m here and I’m not black enough.” And I sympathized with that. It’s funny, W.E.B. Du Bois actually also talked about this kind of “double consciousness.” If anything, it was hard not feeling like I was really part of anything, of any one group. I guess what I’m really trying to point out here is that my identity – especially my cultural identity – has been confusing, even painful. I wasn’t really even in tune with my culture until I came here, and I think that’s what’s made all the difference for me as I continue to work out that part of who I am. And while I do understand that, in the long run, I’m some less than some irrelevant speck on our timeline, I can’t put into words how appreciative I’ve been of my experiences here. You’re a busy man, always juggling school and work responsibilities, what do you like to do when you have some free time? Sleep. It’s usually what gets lost in the juggling. How has working out at the gym affected your lifestyle? I feel like I really only got into lifting at all because my dad was always so involved – he’s still stronger than I am in a lot of lifts, even at 55. It takes up a lot of my time, but at the end of the day, it’s a good thing, it keeps me healthy. A lot of times I’ll hear from people that my time at the gym could be better spent, especially as a student. But I will always argue that the gym has acted as an important teacher, more so than any professor I’ve had thus far. The gym has taught me a lot about work. Consistent and intelligent effort over time yields results. In the gym, there really aren’t any shortcuts, at least none that are safe. The same can be said about life. At the end of the day, you learn that there’s only one way, and that’s the right way. Don’t look for shortcuts, and don’t make excuses. To that end, a lot of people make excuses and quit when they don’t see the results that they want. Progress doesn’t look like a consistent line upwards, there’s a lot of up-and-down involved. If you see something doesn’t work over an extended period of time, tweak it until you find something that does work. You can change what you’re doing, just never stop doing. I think I’ve always been one for cartoons – I think that they tend grasp a viewer in some way that a live-action broadcast rarely does anymore. (First things first, RIP Uncle Phil.) Bojack Horseman is definitely a new favorite. I think it’s very similar to Regular Show, in the sense that, up front, the two shows seem like some goofy, messed-up reality worlds where humans and animals live side-by-side and talk to each other like it’s normal. And that’s because they are. But underneath all of that, the characters touch on some deep subject areas that really hit you, because the problems that a lot of the characters deal with on the show are real, whether it’s an obvious relationship or something where you have to read between the lines. If anything, I feel that relatability is what makes or breaks any creative output in terms of this basal construct – that goes for television, music, and other outlets. All things considered, I’m not sure if my relation to cartoon characters is a testament to the low-key complexity of the characters, or to my own immaturity. You're a fashionable guy and have worked a lot in retail, what about fashion interests you? I’d say that design in general interests me – there’s something about people’s ability to create something with a meaning underlying function that I truly envy. In this way, a creator has the freedom to express themselves in a way that very few of us are ever able to. That being said, I’m interested in just about any kind of creative output where functionality and expression intersect – fashion, architecture, and beyond. When did you get into biking seriously? WC: At first it was a mode of transportation, I never thought I would be like “Oh, I will do this because I enjoy it,” it was more like “Oh, it’s because I live in Sutherland, and it’s easier.” It didn’t start as a passion. At first it started as a need and then developed into a passion. So what pushed it from need to passion? WC: The fact that I found it enjoyable. I come from suburban Jersey and never found a need for biking because you can’t really bike from place to place. Though getting from place to place is useful, it is exhilarating when you’re biking with cars. I don’t know, I find it enjoyable when you’re weaving through cars for the thrill. It’s exciting when you’re going 25-30 mph on a two wheel metal frame with no protection at all. JB: I think I’m the same as Wilson. It started out as just a mode of transportation. I lived in Japan and there my family didn’t have a car, so my main modes of transportation were bus, train or bike. 90% of the time, me and my brothers would bike around Japan. I was always interested in biking because that’s what I had to do growing up. When I moved to the states, I grew up in a rural area, so I didn’t really bike because there was no reason to. You had to go to places with a car. Once I came to Pittsburgh, I could bike again, because places were closer. Where are your favorite places to ride to in Pittsburgh? WC: Schenley Park, but I would say anything downhill, anything fast, anything smooth. When I was younger, I got this long board and in suburban Jersey you can’t really long board from place to place, but I still loved the idea of going on some sort of adventure and in that moment you don't have to worry about anything else but, well not survival, but to find your way. I would long board until I got lost, and I would keep long boarding until I got out of it. And in that I created a kind of challenge for myself in that all I had to do was to find my way out. I guess, yeah there’s part of that in biking. All you have to do is not get hit by a car and you can’t really afford to worry about anything else. Say for example I have a test coming up, you don’t think, “I have a test coming up”. When it’s so basic and when survival is all you have to worry about, it becomes so raw. You don't have anything else to worry about and it’s those moments that we want, where you only have one goal and focus. Especially in college, it’s hard to get that sometimes. College is so fast paced and we often get lost in it, you getting lost in something else that is actually fast paced, and it takes you out of that world. JB: I don’t necessarily have a favorite, but I guess the Alleghany trail is nice. I just like exploring, without knowing where you’re going. Also is fun when you go all the way uphill because you know you’re going to go down hill sometime. Going off of this idea of exploring, what parts of Pittsburgh have you seen or have been exposed to in a different way on a bike that you wouldn't have seen otherwise? WC: When you take public transport, you don't really pay attention to where you’re going. You just trust that it’s taking you somewhere, but when you’re biking, you have to find that route. And half the time when me and Joji go biking, we don’t have a goal of where we’re going. We either make it up on the spot or just go to a place we don’t know. I think the excitement of going someplace new is getting lost and exploring Pittsburgh’s lost treasures. Most of Pittsburgh is something you have to explore for yourself. So what are some of Pittsburgh’s lost treasures? WC: Half the time when we go biking, we wouldn’t have been there if we didn't have our bikes, like a trail or something. If we were to walk, we would probably take public transport. Like when we went to waterfront, we saw so much more than we would have if we took public transport. JB: Biking really helps you get out of the Oakland Bubble. I feel like a lot of people stick to Oakland and maybe downtown, but don’t really explore anywhere else. One, it’s too far to walk. Two, with Port Authority, it takes time to wait. Unless you have a goal or destination, you don't want to go somewhere, whereas with a bike, you don’t need a destination you just say, “I just want to explore” and you go for it. Also me and[Kevin] Jiang did the underwear bike ride, which was really fun, and a lot of people participate in it, probably more than 1000 people participate in it, and you just go there in your underwear and you feel really free. You go to really cool places, like the Duquesne Tunnel and bridges and you see other Pittsburgh spots. It’s a really good atmosphere. There’s an aspect of DIY customizability that comes with biking. Can you speak to that? WC: Back in high school, I used to be on the swim team, and people knew me as a swimmer you know? People knew me as that person. Once you go to college and you don't do something like that that people know you as, you get to reinvent your identity. That’s what I did with biking. People know me as “Oh Wilson has a bike.” People strive to find their identity in something and I think that’s what I found with biking and my man sprout, if you will. When I came into college as a freshman, I was afraid because people know that I’ve done this, this and this, and part of college is reinventing who you are and having that restart button from high school is something we all kind of need, where we reinvent who we define ourselves as. Lets say in high school I killed someone, but I didn’t tell anybody that here. Nobody needs to know that. There’s only going to be so much that is going to be carried over from high school, and college allows for that, the fact that you can pick and chose what people know about you. I find enjoyment in being able to create what people think of me. How does your bike reflect your personality? JC: My bike is pretty much utilitarian. There’s nothing flashy about it, except for the flashing lights I put on my rear wheel, which was for the underwear bike rides when I want to be more visible. I have a rear rack for storage and stuff. I also got a rear rack just in case I go touring. I want to tour across the US and it’ll help carry stuff. I want to paint it black so that it’s more minimalistic. I like my bikes to be more minimalistic so it matches more with my personality. I don't like stickers and advertising on my bike, I just want all solid colors. I don't want to be labeled. I could say some eloquent mumbo jumbo, but that’s not the reason I’m painting it. I just like the solid look. I like the aesthetic. I like the fact that if it’s minimalistic, its easier to match with my outfit and will look better. WC: I don’t know. I just like how it looks! My bike is a track frame, and a fixed gear. A track frame is much more aggressive, so you notice that my seat’s higher than my handlebars so you get into a more aggressive riding style, so basically it’s built for speed, not for comfort. You’re basically this annoying biker who weaves through cars and cars just honk at you. I think there’s a sense of thrill that comes with riding on a track fixie bike. It’s almost a kind of testament for me need of excitement, some kind of thrill that I can’t really get from anything else at the moment. It also speaks to my desire to always find some sort of adventure. Why did you choose the copper color? And the special back wheel? WC: It just looks pretty. It just looks nice. It doesn’t really serve a different function, it’s a little bit heavier but at the same time it’s durable and it grabs people’s attention. I don’t want to be known a just another biker. I want to stand out in some sort of way. I’m not saying I looks great in this bike Even for cars, if they treat me as just another biker, oh they’ll blindside me. But if you stand out in some sort of way that is out of the ordinary, it makes you a little safer too. What places and gear would you recommend to someone who is trying to get into biking? WC: I recommend building your own fixed gear. Sure it might not be the most practical thing to ride in Pittsburgh because of all the hills, but it definitely gives you a different riding experiences. You feel much more connected to the road because you know how much traction you have on the back wheel. Like if your back wheel slips, your two feel are going to stop moving. I think it's a better riding experience. I feel more in control riding a fixed gear rather than riding a single speed. For beginners maybe don’t build your own, and instead buy a completed one for you. WC: No particular brands, anything cheep. JB: Honestly, if you’re a starter, get a used bike on free & for sale or craigslist. I got mine on Craigslist because first if you’re a beginner you’re not sure if you’re going to use your bike that much at first. You don’t want to spend too much and then just be like “Oh I guess I don’t really use it that much”. Secondly, you’ll know what to upgrade next time you purchase a bike, instead of going in like “oh I want this one”. What bike shops do you go to? JB: There’s this place called Kraynicks where people can maintain/fix their bikes for free. All the tools and wrenches and everything are free. The owner sells parts and wheels and he can repair, but her recommends you to do your own repairs because it’s free. It’s a really nice place to go. It’s on Penn Ave in Garfield. WC: Iron City Bikes, that’s where I got my bike built. It is a little bit expensive, and I wouldn’t mind being able to built a bike myself. I was actually considering getting a really cheap bike and then putting it together myself and learn how to do it. It’s really not hard, it just takes time to do it. The people there know their stuff. What would you constitute as a good ride? WC: When you come back feeling exhausted, I like those. JB: When you almost get hit by a car. WC: When you get pulled over by cops but they don’t give you a ticket. A cop pulled me over because I ran a red light. He’s like, “Yo, if you’re a bike, be a bike. If you’re a car, be a car” and I was like “Officer, sorry sorry sorry!” and it was awkward. Basically if you’re a bike stay on the sidewalks, but if you’re riding on the road, you’re considered a car. What’s the difference between solitary riding and riding in groups? JB: I think it’s mostly solitary or in a small group, because you can’t really talk in a large group. WC: it’s either max 4-5 people before gets clunky. It’s mostly solitary, but when Joji, Kevin and I went biking it was fun. Again sometimes is better if it’s solitary because you’re more focused on not getting hit by a car. It’s okay either way. What do you like about Chrome? WC: They sell stuff that is convenient for bikers basically. My backpack is waterproof and its durable and convenient. I can hold a bike lock on the inside, which is nice. I have a messenger bag that matches with my bike. I also have jacket that is the same color. They also sell stuff that is reflective. 3M is good. It’s nice having commuter gear that doesn’t look like commuter gear you know? What is your opinion of bike as associated with hipster culture, style and fashion? WC: I think it’s okay. I’m not bothered by it. Everything you do is advertising something, whether or not it’s to other people and even to yourself. Everything you beautiful is advertising something. In fashion, if you’re trying to make a fashion statement, you’re trying to advertise, “This is my fashion sense? I’m okay with fashion being associated with cycling, it’s just a way that people express themselves. Any plans to as to how you’re going to get your next biking fix? WC: I was thinking of building another one, but it would be pretty expensive, so it might not happen. JB: I think I’ll stick with my bike for a while. 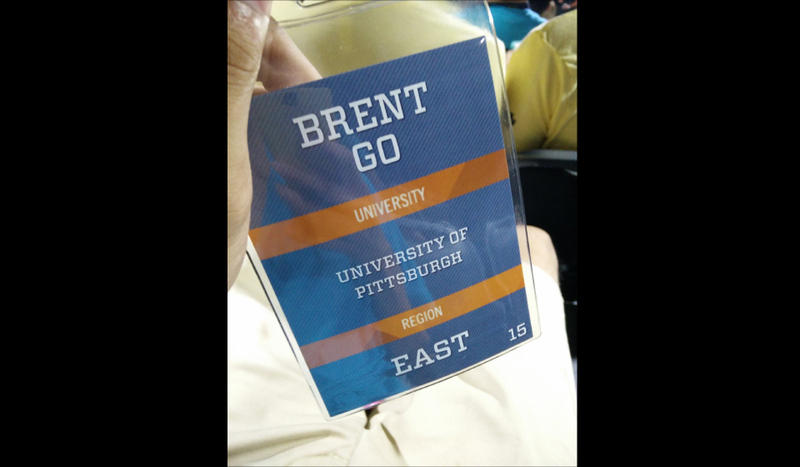 My name is Brent Go. I am a Junior studying Information Science and I am a League of Legends Collegiate Organizer at the University of Pittsburgh. In August, I was invited to the annual Riot Games Collegiate Summit where 150 distinguished collegiate organizers were flown out to the Riot Games studio in Los Angeles, CA. Out of all the collegiate League of Legends organizations across North America that had applied to attend the Collegiate Summit, I was surprised and excited to have been selected to go. The Collegiate Summit was a two-day conference where collegiate organizers from all over North America shared their experiences, solved challenges, and shaped the collegiate program for the upcoming academic year. Most of the Summit consisted of presentations, panels, discussion groups, and feedback sessions. One of the events was an Ask Me Anything or AMA for short with the creators of League of Legends who really showed that they care about the collegiate League of Legends scene and their vision of the future of competitive electronic sports. Their willingness to answer our questions ranging from personal experiences as leaders in eSports and future goals was especially meaningful to me. I was actually surprised that they took the time to come visit us for the AMA in person. Having the opportunity to ask some of the most powerful people in the video game industry questions about their experiences starting out from a small startup into the most played video game in the world was truly an experience to take advantage of. Another event was a panel by the head analyst of Team Liquid, a well-known North American League of Legends pro gaming team, whom gave advice on managing a competitive collegiate team ranging from motivating players to keep improving to scouting new players. To me, the most helpful event was the feedback session for organizers to talk to Riot employees about their opinions of the Collegiate Summit and the collegiate League of Legends program in the past year. We were also allowed to voice our opinions of how the program should be changed for the upcoming school year. In addition to the various number of presentations and panels, I was given the opportunity to socialize and network with other organizers to learn how these other organizers structure their club and what type of events and activities they run with their club. This was especially helpful to me because I could talk to organizers who have similar organization structures and ask how they would approach certain scenarios. Over the course of the two-day conference, I have made a lot of new friends from all over North America. The network I have created with these people has given me even more opportunities for the future. One of the largest organizations, UBC eSports Association, created a document detailing how to properly structure a large organization. Another document was a sponsorship database including a list of marketing contacts from various large tech companies. As someone who has been following the League of Legends scene for the last 4 years, I am amazed that Riot Games really cares about its player base and is makings strides to help people embrace a gaming culture. Everything I have learned while attending the Collegiate Summit was very insightful and very applicable towards what I am trying to accomplish at Pitt for the upcoming year. With the conclusion of the Collegiate Summit, it is up to us as leaders to take what we’ve learned about leadership and management and apply it to our organizations. I am deeply grateful to have been invited out to Los Angeles for the Collegiate Summit and hope to be invited again next year.